Since the early seventies, we have been supplying customers with the very best quality sand, gravel, block paving and building materials allowing them to create an outdoor space that they are proud of. Whether you need a new path leading up your door or a patio in your back garden- we have everything you need and more. We pride ourselves on our customer service and try and always do right by our customers. We accept nothing less than the best and that’s why we can confidently say that our products are of the very top quality, made using the best materials for a durable and sturdy result. We know how it can feel when as a customer, you are faced with an employee who doesn’t know the ins and outs of the business they are working for. We train all of our staff to the highest standard so that they are knowledgeable and can confidently help you in any way you need. Whatever questions you have about our block paving Chippenham service, our team will be on hand to answer. Give them a call on 01793 536784. 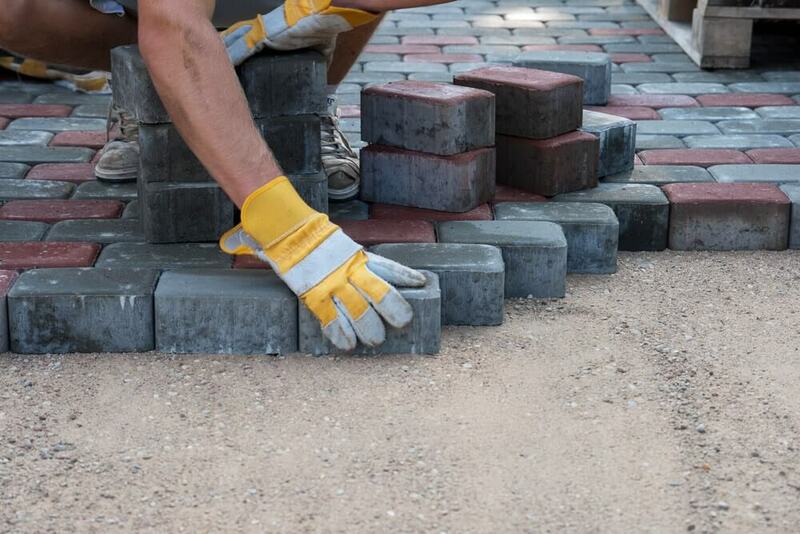 Block paving is a way to decorate a garden or outdoor space by use of a number of stones. These stones can come in a wide range of shapes and sizes as well as colours and materials. The method of block paving is often used by landscapers and gardeners. ultimately, it creates a hard standing surface which is the most commonly used as a driveway or patio and sometimes paths. One major advantage to block paving is if one of your bricks were to break or get damaged, you could individually replace it. This is of course, very useful. Our block paving service is not just used for domestic paving but has also been used in commercial and other settings, for car parks, airport taxiways and more. Why Choose Block Paving for your Garden? Choosing to opt for block paving can create the feeling of a high-class garden that has had time, money and effort spent on it. The great thing about block paving is that you can have just a small area of it where a flat and hard ground is needed and then have some grass also. You could place your barbeque and chairs on the block paving and then have a nice green area also. To have cement or tarmac in a garden does not look as visually appealing as block paving does. The Block Paving Chippenham products come in a large slecetion of sizes so that you can choose your ideal look, feel and size with ease. To find out the exact sizes on offer please visit our Block Paving page. The Benefits of Block Paving your Garden? Block Paving adds value to your property as it is a sought-after gardening style to have. So if you have any future plans for selling your property and are looking for ways to increase the selling price then block paving could be a reasonably cheap but effective way of doing so. Bricks are one of the most strong and durable materials. Opting for block paving is a long-term solution for solid flooring in your outdoor space- it will last for decades, even when faced with all kinds of winds and weathers. There are a variety of colours and sizes that you can choose from when picking our Block Paving Chippenham service, all outlined below. The first thing people see as they are outside of your house is the driveway. Having a tidy and well looked after drive will have .a great impact on the overall appearance of your property. As mentioned above the Sansums service is suitable for many different areas. This is due to the vast customization possibilities with our service. We offer a wide variety from Gold Block Paving to Aura block paving – To find out the full range of paving on offer please visit our block paving page to find out more. At Sansums we like to make sure we go above and beyond for our customers. If there is anything you need please do not hesitate to get in pride ourselves on customer service, reliability and quality of our product. We tailor our services to meet your needs. All we need to do is collect the correct measurements for the area that needs to be paved and we will provide the exact amount needed which will result in reduced waste and saves you money. Laying paving slabs can be a big job, so we also offer advice on the best way to lay down your new driveway or path and what tools & materials to use. we offer a collection and delivery service so you can relax when it comes to transporting the materials that you need for your project. Please do get in touch with a member of the team here at Sansums and we will be happy to help with any of the questions you may have regarding block paving Chippenham and together we can start transforming the outside of your property today!